On Tuesday December 20, 2011, PLEA organized and participated in the “Shop with a Cop” program held at the Target store located at Spectrum Mall. This event gave an opportunity for 30 deserving kids from the local community to partner with a police officer and shop for Christamas gifts for their families. Children were selected by their teachers based on need as well as grades, attitude and performance in school. 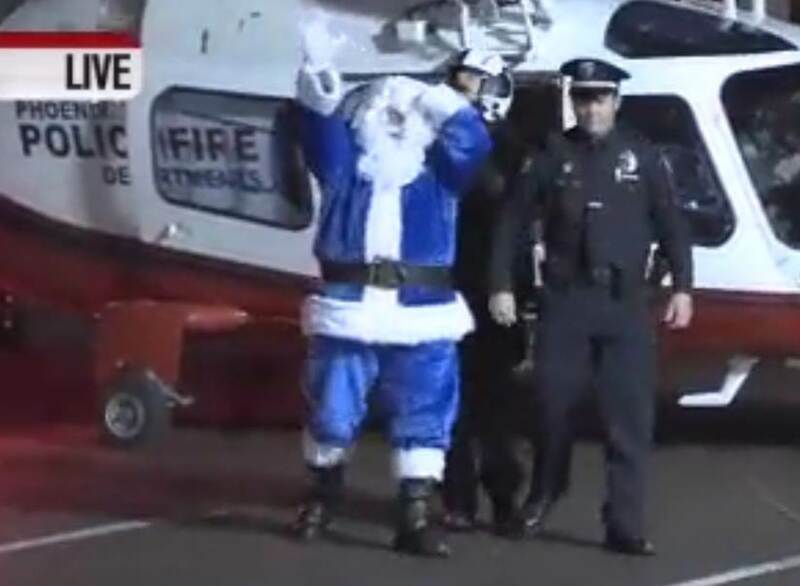 The PPD Air Support Unit participated by landing at the mall to drop Santa off for the kids. PLEA would like to thank the major donors that made this event possible to include: Target stores, Spectrum Mall, Ann and Mike Malone, Require the Prior, Law offices of Napier, Abdo, Coury and Baillie, Pro-Ranch Markets, Phoenix Police Department, PLEA Charities and all of the Phoenix officers who participated to make this a successful event and a very special Christmas season for a special group of kids.